15 Commercial Real Estate & Properties in Melbourne City are listed in 5 categories. We have 7 Other Commercial PropertiesSale , 5 OfficesSale , 1 Hotels and LeisureSale , 1 Industrial Warehouses Sale and 1 Retail ShopsSale . For sale is a safe and secure storage unit in Melbourne's CBD @ 601 Little Collins Street. Unit is approx 9 sq meters. 24/7 access with security code, CCTV security coverage. Easy access via parking bay and large lifts. Perfect for document storage, sporting equipment or furniture, rent options with company for short or long term leases, can store personal or professional items. Whether you are looking for temporary storage or a more permanent solution, a self storage solution that's right for you. Easy access to your goods High security premises size approx. 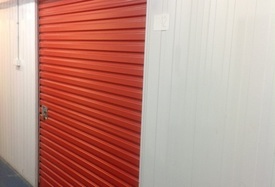 9 m2 Currently rented at approx $140 per month Self storage cater for all types of business and home storage. Use our expertise to help you with moving, storage, relocation, packaging, etc. These are ideal as a small set and forgotten investment or storage for whatever reason you might have. For sale is a safe and secure storage unit in Melbourne's CBD @ 601 Little Collins Street. Unit is approx 7,6 sq meters. 24/7 access with security code, CCTV security coverage. Easy access via parking bay and large lifts. Perfect for document storage, sporting equipment or furniture, rent options with company for short or long term leases, can store personal or professional items. Whether you are looking for temporary storage or a more permanent solution, a self storage solution that's right for you. Easy access to your goods High security premises size approx. 7,6 m2 Rented $180 per month Self storage cater for all types of business and home storage. Use our expertise to help you with moving, storage, relocation, packaging, etc. These are ideal as a small set and forgotten investment or storage for whatever reason you might have. Perfect for document storage, sporting equipment or furniture, rent options with the company for short or long term leases, can store personal or professional items. Whether you are looking for temporary storage or a more permanent solution, a self storage solution that's right for you. Easy access to your goods High security premises size approx. 4.2 m2 currently Vacant Self storage caters to all types of business and home storage. Use our expertise to help you with moving, storage, relocation, packaging, etc. These are ideal for a small set and forgotten investment or storage for whatever reason you might have. Perfect for document storage, sporting equipment or furniture, rent options with company for short or long term leases, can store personal or professional items. Whether you are looking for temporary storage or a more permanent solution, a self storage solution that's right for you. Easy access to your goods High security premises size approx. 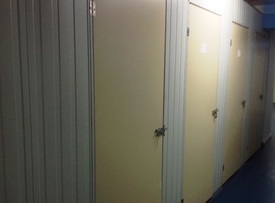 4.1 m2 currently Vacant Self storage cater for all types of business and home storage. Use our expertise to help you with moving, storage, relocation, packaging, etc. These are ideal as a small set and forgotten investment or storage for whatever reason you might have. Perfect for document storage, sporting equipment or furniture, rent options with company for short or long term leases, can store personal or professional items. Whether you are looking for temporary storage or a more permanent solution, a self storage solution that's right for you. Easy access to your goods High security premises size approx. 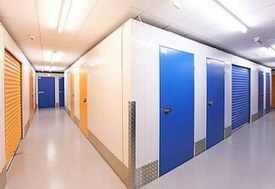 8,0 m2 Self storage cater for all types of business and home storage. Use our expertise to help you with moving, storage, relocation, packaging, etc. These are ideal as a small set and forgotten investment or storage for whatever reason you might have. For sale is a safe and secure storage unit in Melbourne and #x27;s CBD @ 601 Little Collins Street. Unit is approx 7 sq meters. 24/7 access with security code, CCTV security coverage. Easy access via parking bay and large lifts. Perfect for document storage, sporting equipment or furniture, rent options with company for short or long term leases, can store personal or professional items. Whether you are looking for temporary storage or a more permanent solution, a self storage solution that and #x27;s right for you. Easy access to your goods High security premises size approx. 7 m2 Currently rented at approx $200 per month Self storage cater for all types of business and home storage. Use our expertise to help you with moving, storage, relocation, packaging, etc. These are ideal as a small set and forgotten investment or storage for whatever reason you might have. If interested please call for more information. . Perfect for document storage, sporting equipment or furniture, rent options with company for short or long term leases, can store personal or professional items. Whether you are looking for temporary storage or a more permanent solution, a self storage solution that's right for you. Easy access to your goods High security premises size approx. 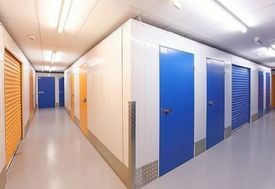 7.3 m2 24/7 access Self storage cater for all types of business and home storage. Use our expertise to help you with moving, storage, relocation, packaging, etc. These are ideal as a small set and forgotten investment or storage for whatever reason you might have. PRIME BLUE RIBBON COMMERCIAL. EXCHANGE TOWER. 530 Little Collins Street Melbourne. Floor Area : 12.1 m². Rate of Return : 9.03%. This is a fantastic opportunity for an investor/future owner occupier to secure an office suite in this high profile corporate office building located in Melbourne's most dynamic and exciting business precinct. Exchange Tower is a stunning combination of technological brilliance and world class innovation. The building is a statement of fine design, with marble hallways and highly crafted original fittings. Onsite facilities also include a variety of superb facilities including professional business centre with video conferencing facilities, gymnasium, secure undercover car park available at an additional cost and much more.